Valtteri Bottas wants to be treated "equal" to teammate Lewis Hamilton during the early part of the season. 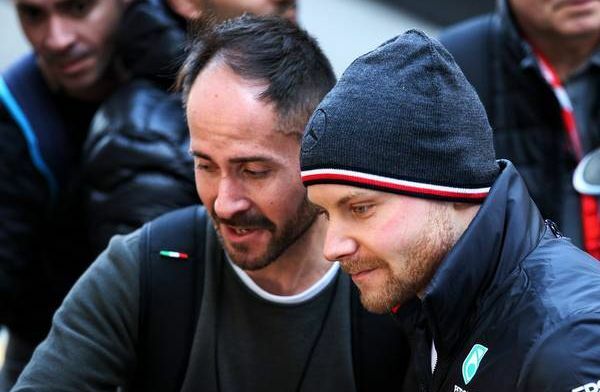 Bottas has said that he does not expect to play second fiddle to Hamilton and hopes that there will be no team orders which will impact his results. Bottas believes that Mercedes have taken a different approach to Ferrari who have already announced that Sebastian Vettel will be prioritised over Charles Leclerc. Speaking to Ilta Sanomat newspaper Bottas said, "I think we are very clear about it," when asked about the team order situation for 2019. "Certainly at the beginning of the year, we will be equal,"
"If at some point there are clear point differences then it (team orders) may be possible." "There is only one season behind Leclerc. Maybe they will allow him to grow and develop." Fans will hope that Mercedes allow both drivers to race against each other so they can see the type of racing they saw when Nico Rosberg and Hamilton were driving. Should Mercedes impose team orders?